Ngoc-Tran Vu, a multimedia artist who is best known as “Tran,” has won a $10,000 grant to design and paint a permanent mural celebrating Vietnamese culture in Fields Corner. The artwork will adorn the side of the Pho Hoa restaurant across from Dot House Health and is scheduled to be completed by this fall. “I saw how the empty walls could be used for art and a space of gathering for both residents and visitors. Plus Dorchester could definitely use more art,” said Tran, who lives across the street from the restaurant. She won support for her vision after speaking with restaurant owner Tam Le. Le is all for the idea. He says the mural will illustrate what he and his family want the restaurant Pho Hoa to be ever since it opened 25 years ago— a showcase of Vietnamese heritage. “I feel honored, excited, proud,” Le told the Reporter. “Honored that Tran has decided to use our wall to create what we anticipate to be a beautiful homage to our heritage and community, excited to see the community come together to share the experience of the creation of the piece, proud of Tran and her dedication to the Vietnamese community. I could not think of a more fitting person nor a more fitting medium to achieve this than Tran’s mural,” he said. 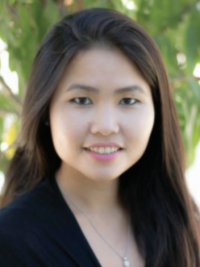 Ngoc-Tran Vu was born in Sài Gòn, Viet Nam and emigrated to the United States in 1992 when she was four years old. She was raised in Dorchester and South Boston. Her mom was a home maker, and her dad attended Bunker Hill Community College studying biomedical engineering during the day. At night, he worked various jobs like construction work and electrical work. Together, her parents raised five children. Vu brought her mural idea to the Creative City Initiative of New England Foundations for the Arts (NEFA) pilot program that was launched in 2015. She is one of seven artists who received grants from the Creative City Project for its latest cycle. Creative City iinvites artists of all disciplines to submit their proposals. “It focuses on bringing their practice in the public realm,” said Kim Stezo, the project manager of Creative City. Vu will receive 75 percent of the grant to start her project and the rest after it is finished. The money will go toward materials like paint, wood, art installations, and ladders. It will also be shared by herself, her assistant, an advisory board of 8 to 10 members, and about 5 youth artists who will help paint the mural. She is in the process of recruiting people for these roles and plans to start work next month and finish by the end of September.